We have had a family operation for 3 generations since 1905. Slowly transforming from a dairy farm to orchards. Today we specialize in cherries, plums, apricots, pears, peaches, blueberries, apples, and nectarines. 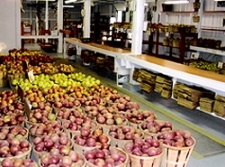 Over the years making lots of improvements to better the quality of our fruits to accommodate our customers. 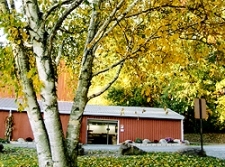 We are located right in against the mountains away from the hustle and bustle of highways and congestions. It is very quiet and peaceful with lots of shade trees near our market place. 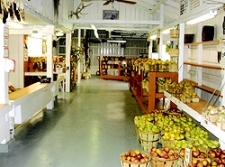 Our market still exists in the original barn built with wooden pin construction in 1940. We like it the old fashion way. Nearly all of our farm labor is done by owners and managers with good part time employees in the summer, who are friends and relatives. We sure appreciate these folks.